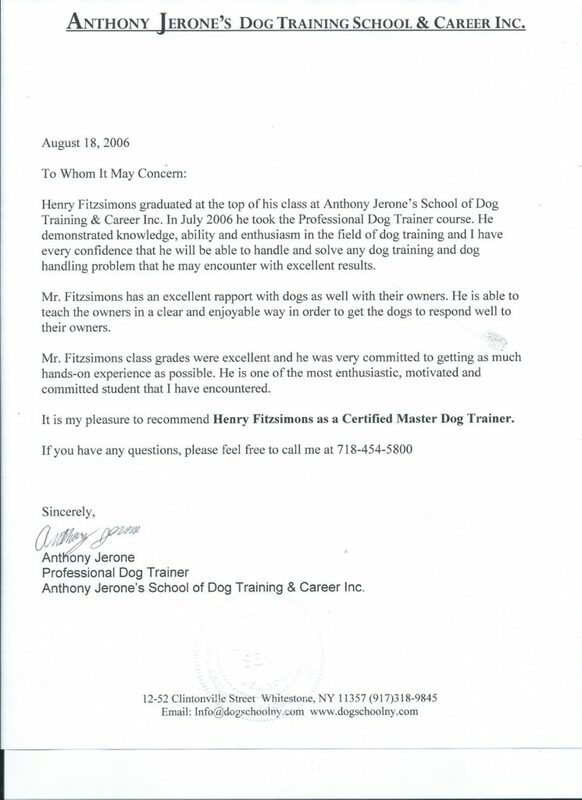 Henry Fitzsimons - Topdog Training. Residential Dog Training. Hello and welcome to our site. My name is Henry Fitzsimons and I have been training dogs since my early teens, originally with my uncle and aunt at their kennel in Watford. Since then I have travelled the world learning different techniques and methods which help in providing a good relationship between dog and owner. I finished top of my class in the USA having achieved 100% in my final exam and receiving the rare k9 badge. In Germany I trained with German police dog handlers and also top schutzhund trainer Bernhard Flinks. We believe that a happy dog learns fast and in order to make training enjoyable for both the dog and handler, the reinforcements used must be positive, rewarding and motivational to the individual dog. Every dog is different and it is our responsibility to provide each owner with the tools and instruction to experience the same results in the home environment. We have a purpose built kennel here with underfloor heating and background music in each kennel,we find the music/talk programmes help in the settling in of newly arrived dogs. We are recommended by vets, dog wardens, dog shelters and of course by previous customers most of whom we now class as friends.